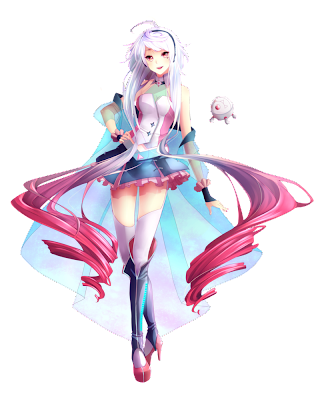 Voctro Labs, the company who produced Spanish Vocaloids Bruno and Clara has announced their latest Vocaloid, MAIKA. MAIKA's official boxart was decided via an illustration contest, and the winner, Noriko Hayashi's stunning illustration was chosen. And this week, MAIKA's demo songs have been released. There will be more demos to come in the near future. With the new Spanish Vocaloid, here's to hoping to hear more Spanish Vocaloid songs!